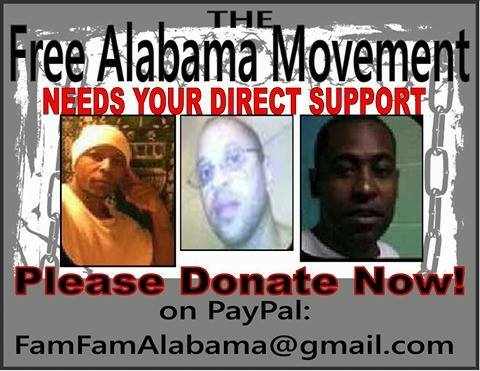 Support Free Alabama Movement and the Freedom Tour 2016 as we engage in more protests against #blackgenocide and #endprisonslavery2016. We will be in Dothan on September 7 and Donaldson on September 10th. Confirm your attendance on FB. The experiment with the “behavior modification” dorm at Donaldson CF in Alabama continues. Hearkening back to the Tuskegee Experiment and other forms of medical torture that have taken place in Alabama against predominately African Americans, the Alabama prison system is again violating basic civil and human rights in the name of corrections by conducting a “behavior modification” experimental program and using over 80% African American men, including many who don’t have any behavior problems. Over the past two weeks, the Alabama Department of Corrections has been going to other lower level prisons around the State and snatching up African American men and transferring them to Donaldson CF and placing them into a new experimental program called the “behavior modification” program. The first problem is, most — if not all — of these African American men came from general population at other prisons with no behavior records warranting their transfer. Once in this program, all of their rights and privileges are curtailed. Among the most egregious violations has been the denial of showers for six consecutive days and counting, no personal or legal property, denial of all mail, books, and reading material, no visitation with family, and no paperwork or written explanation explaining why they are being placed into a “behavior modification” program; all while housed two to a cell. Many of these men have such exemplary records that they qualified for an incentive package at their former prison, only to arrive at Donaldson to have their packages taken from them. In order to qualify for an incentive package, one must have 6 months disciplinary free records for non-violent rules violations and 1 year disciplinary free for violent disciplinary. Some of these men have multiple years of disciplinary free records, while others have never have any prior violent records. They are forced to eat, sleep, defecate, and urinate with another person in the cell at all times. These cells don’t have a table to eat on, and if one or the other cellmates is defecating when a meal is being served, both of their trays are passed into the cell anyway. 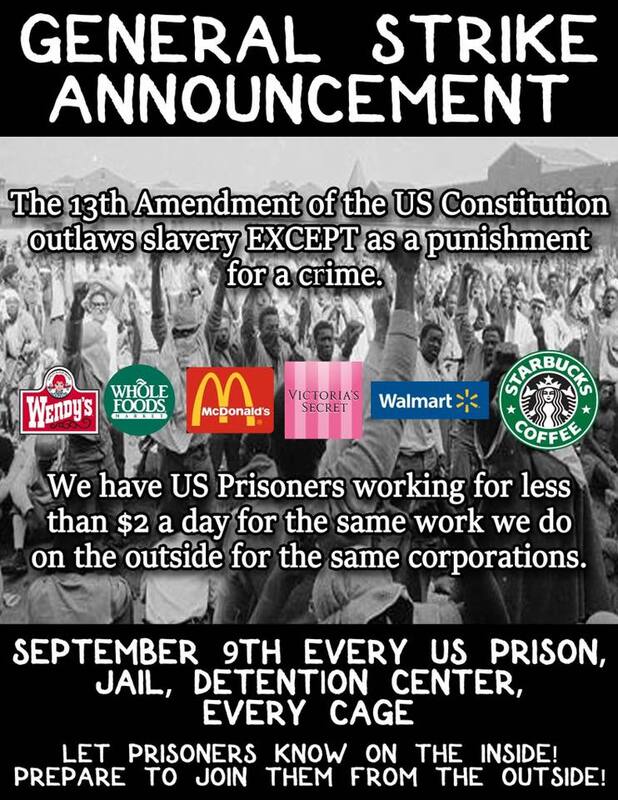 And, because they are being denied recreation time, they are locked down 24 hours every day in a two-man cell. Also of note is that the ADOC elected to start this experimental program in the heat of the Summer. Again, the majority of these men, came from the general population at other prisons. Most of them have disciplinary free files, yet they are being placed into a behavior modification program. Some of them have level 4 custody for a medium security prison, yet they were transferred to a level 6 maximum security prison, which is the highest level prison in Alabama, and placed on total lockdown. In fact, these men were placed into this experimental program before a S.O.P. manual was complete on how this program would be ran or what the criteria would be to place someone in this program. 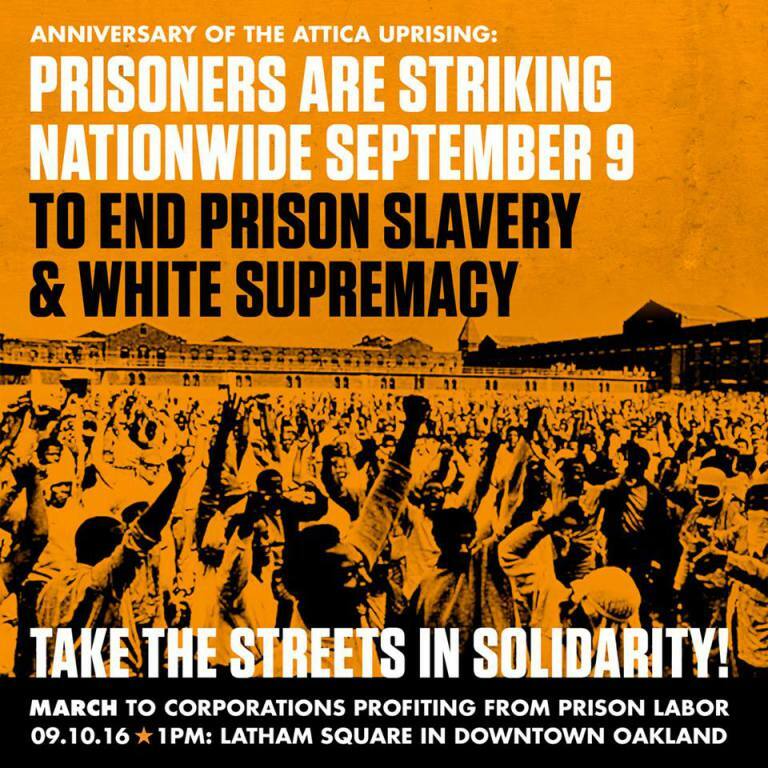 If the majority of these African American men don’t have any disciplinary records to justify their placement into this program, and all of them came from general population at other lower level prisons and have lower custody classification status, why are they being placed into this experimental “behavior modification” program? The answer seems quite simple: because this racist experimental programs was designed to be tested on and carried out disproportionately against African American men. This is the same model that was used in the Georgia prison system. The Georgia Department of Corrections hired a retired military officer to run their prison system, and he began a “behavior modification ” program that employs these same enhanced torture tactics that were first tested and used by the US military in Abu Gharib prison in Iraq. Alabama has now followed suit by hiring a retired military officer to run the Alabama Department of Corrections, and the new Commissioner is now implementing the exact same “behavior modification” program in Alabama. Georgia tested their program on mostly African American men also. 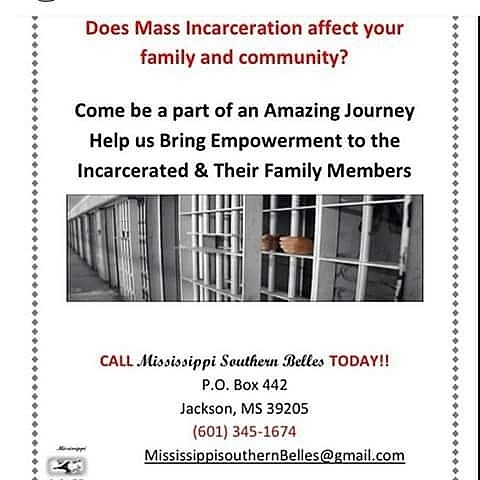 1) Join our media campaign to help expose this program and the fact that African Amwrican men in Alabama prisons are being targeted and placed into an experimental psychological torture “behavior program” even though the vast majority of them don’t have any behavior citations. 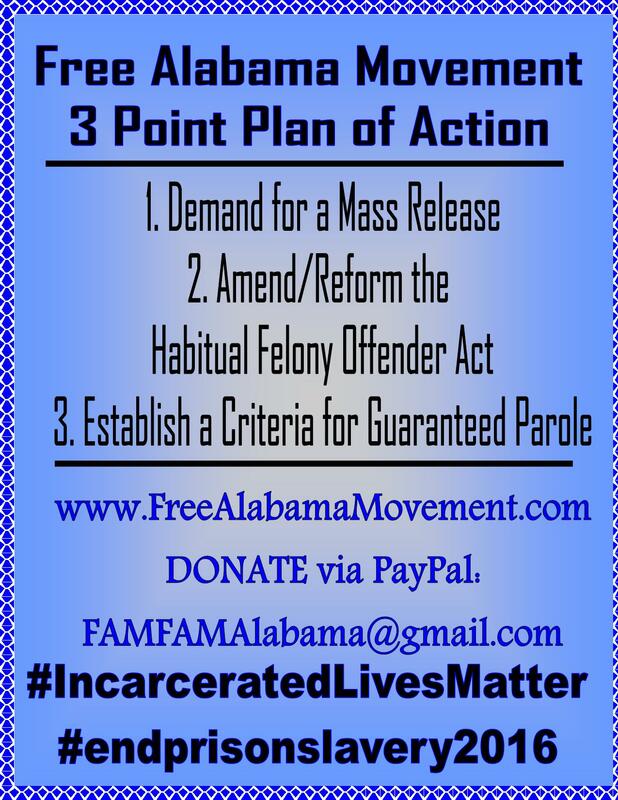 2) Contact Commissioner Jeff Dunn, Sen. Cam Ward, Governor Robert Bentley and the Civil Rights Division of the US Dept of Justice, and file a complaint and demand to know why this experimental program is being carried out exclusively against African American men. 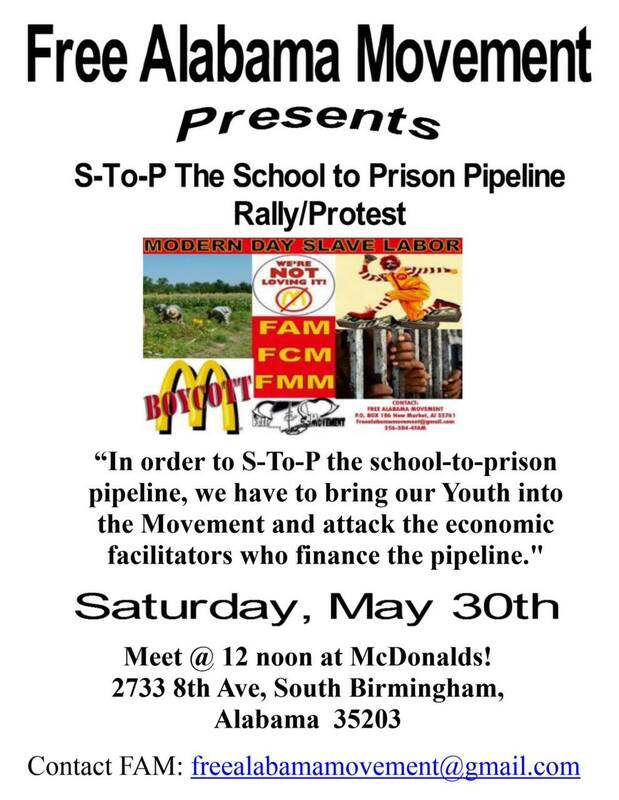 3) Join FREE ALABAMA MOVEMENT, MOTHERS AND FAMILIES, THE ORDINARY PEOPLE SOCIETY, and IWOC as we plan to organize protests at Donaldson CF against this racist and illegal experimental program. 4) Contact the Alabama Board of Medical Examiners and file a complaint against any medical/psychology professional for engaging in experimental psychological practices and mental torture against African American men incarcerated at Donaldson prison.